could melt the coldest heart. on a cold and dreary night. so quickly so it won't be very long. for me to hold so near. 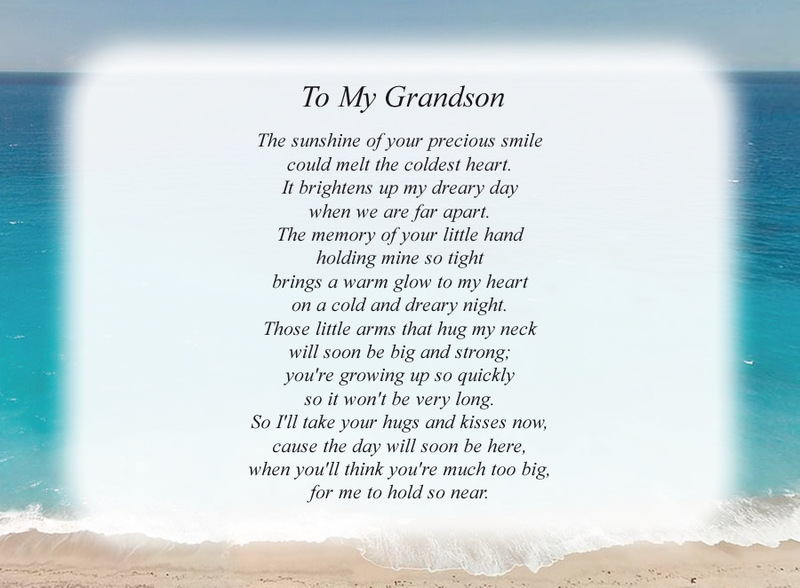 The poem, To My Grandson, is free and printable by opening or downloading using one of the three links below.